I've owned this amp for about six weeks now and have listened to it extensively with almost all genres of music. In a word I think the QSI is fantastic. The highest compliment I can pay it is that it doesn't sound like a tube or solid state amp. The sound is natural, smooth and realistic. Bass is powerful, deep and extended with good control. Treble is crystal clear, detailed and shimmers. Vocals are focused yet full with no sense of grain. Percussion has snap and is fast and detailed. Midrange detail abounds. If if this review seems too glowing (pun slightly intended) it is because there is nothing sonically I don't like about this amp. I took a chance purchasing this amp because there is so little information available regarding its sound. 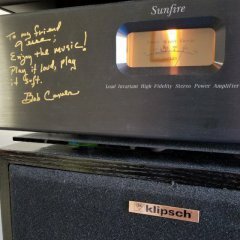 I was well aware of Quicksilver Audio's reputation for quality and reliability and was looking to simplify my system with an integrated amp. I have yet to find my speakers but the Quicksikver Integrated stays. 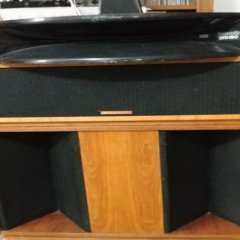 I've been using Quicksilver Audio separates for ten years (bought used) and would agree with the reputation for reliability. Thanks for sharing! I was just looking at that model last night as I've been thinking about going to a nice integrated like this. I had a pair of Quicksilver Mid-monos for a while and they sounded great driving Cornscalas. I actually sold the pair to a member here (eth2). Included in my various electronics are Quicksilver SET300B and original 8417 Monoblocks (updated by Mike Sanders to run EL34 tubes), Phono Preamp, Line Stage Preamp and MC SUT (which is excellent with my preferred Denon DL103 LOMC). A longtime friend has been running the Quicksilver Integrated for some time. His comments very much agree with the OP. Nice. I have the QS Line Pre-amp and really like it.